Photo courtesy of Dan Z. Johnson Photography. 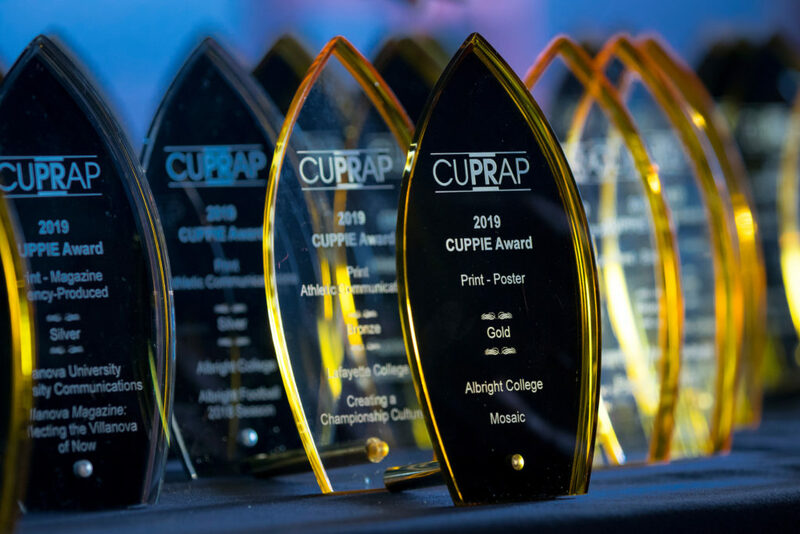 The 12th annual CUPPIE Awards were presented on Thursday, March 14, 2019. 416 entries were received from colleges, universities, and providers of private, specialized, and secondary education in Delaware, Maryland, New Jersey, New York, and Pennsylvania. Judges represented experts in the field of communications and included designers, writers, educators, corporate executives, and media professionals. Congratulations to the 2019 CUPPIE Award winners listed in this PDF. Click here for other awards given during the conference.